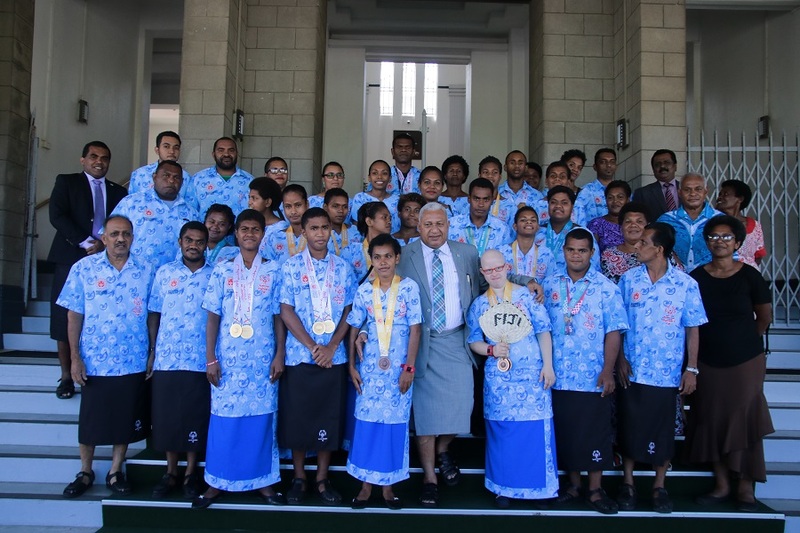 A delegation led by the Speaker of the Fijian Parliament, Hon. 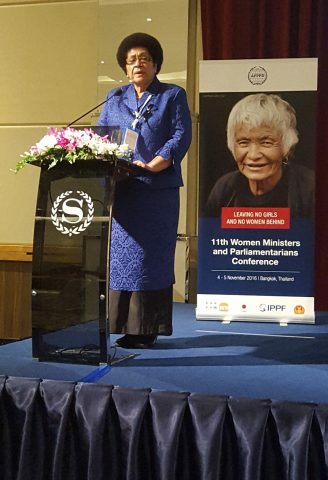 Dr Jiko Luveni is in Bangkok, Thailand for the Asian Forum of Parliamentarians on Population and Development (‘AFPPD’) – 11th Women Ministers and Parliamentarians Conference (‘Conference’). The Hon. Speaker participated as one of the keynote speakers during the plenary session where she focused on the Fijian Parliament’s follow-up actions to the Agenda 2030 for Sustainable Development and the SDG goals. Hon. Luveni stated that with respect to SDG 3 – Good health and wellbeing, government assistance begins from the womb, where expectant mothers are given food vouchers to feed themselves and their babies before they are born; deliveries are done at the major hospitals to ensure that services are readily available should there be complications during delivery; there is free education for school children as well as free transport and free text books; there is financial assistance to all students that want to pursue tertiary education; and girls are provided the same opportunities as the boys and it has been noted that girls outnumber boys come graduation time at the universities. Hon. 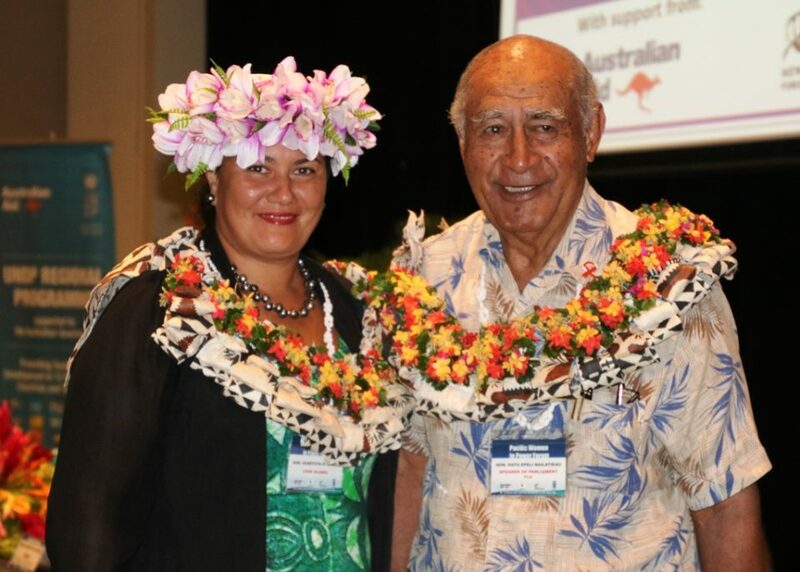 Luveni further stated that Fiji’s unemployment rate has reduced from 15% to 7% however, when it comes to joining the workforce, it is noted that at the entry level, at the lower level of positions, it is chock full of women but when it is time to retire, more men retire at the leadership/management level. In her concluding remarks, Hon. 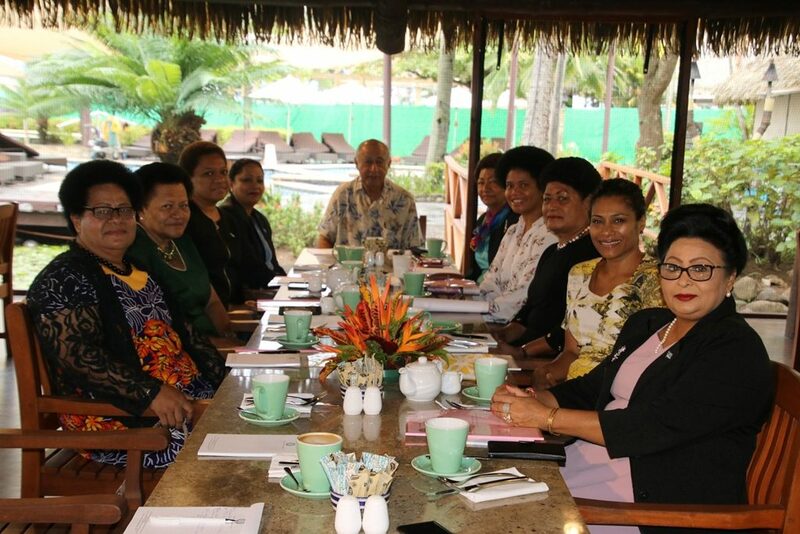 Luveni stated that the 11th Women Ministers and Parliamentarians Conference is so timely and unquestionably calls for all parliamentarians to work collaboratively to achieve gender equality. The Conference is being attended by more than 100 ministers and parliamentarians from Asia-Pacific including experts from International Organisations, CSOs, faith-based organisations, youths and the media. The Fijian delegation consists of the Minister for Women, Children and Poverty Alleviation, Hon. Mereseini Vuniwaqa and Secretariat support staff. It concludes with the delivery of the Parliamentarians’ Declaration, Commitments and Recommendations to the Thai Government Representative. The Conference is organised by the AFPPD, with support from the Government of Japan (the Japan Trust Fund), the UNFPA APRO and the IPPF SARO, and is hosted by the National Legislative Assembly of Thailand. The two-day Conference ends today, Saturday 5th November 2016.